What Kind of INFINITI Are You Looking For? 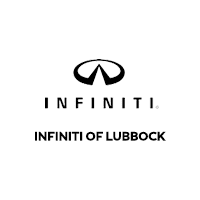 At INFINITI of Lubbock, we don’t want your car-buying experience to be a hassle. That’s why our expert finance team is available to guide you through the lease or loan process from start to finish, so that you can get behind the wheel of your new car sooner. You’ll receive the best lease or loan rates with the help of the skilled professionals in our Finance Center. Together, we’ll customize a plan that suits your budget and lifestyle. Maybe that means committing you to the long-term benefits of financing. Perhaps it entails locking you into a short-term lease agreement. Regardless, it’s all about less time worrying about finances, and more time enjoying your new INFINITI. If you’re searching for a new or used INFINITI, check out the INFINITI lease deals in Lubbock, Texas. For more information, contact us today or call (806) 410-2100.